Ivy Farm Holiday Park01263 579239work Holiday & Touring Park (SC)Ivy Farm Holiday Park. Situated in the heart of a conservation area known as 'Poppyland'. Family run for over 50 years. Minutes from safe, sandy beaches and countryside walks. We offer luxury well equipped caravans for hire, also lovingly restored barn conversions and log cabins including our 'flagship property' The Coach House, an outstanding new barn conversion with sea views. Children's play areas and outdoor heated swimming pools will add to a perfect family holiday. Open all year barn conversions. Ivy Farm Holiday Park. Situated in the heart of a conservation area known as 'Poppyland'. Family run for over 50 years. Overstrand Village is on the B1159, 2 miles east of Cromer. Follow signs to Overstrand, St. Martins Church left hand side. Overstrand Garden Centre on right, turn left into Carr Lane. Ivy Farm is halfway down on the right. 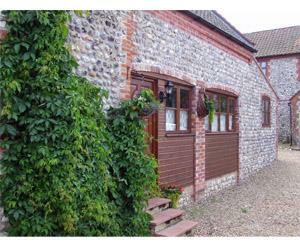 Nearest train station is Cromer and bus services available from Cromer to Overstrand Village.